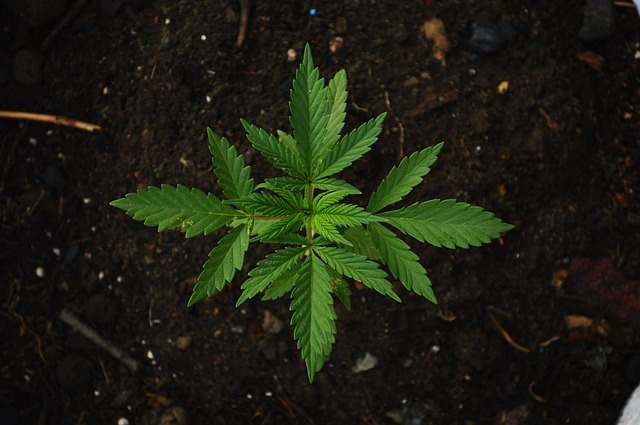 MENDOCINO Co., 4/9/18 -- Earth Day and 4/20, the cannabis holiday, will arriving on a weekend, and it being the first year that recreational cannabis is legal in California, there are plenty of events happening around Mendocino County. Whether you're inland or on the coast, we've put together a round-up of activities happening on April 20th and April 21st, ranging from music to comedy to family-friendly fun, and including at least one event that combines both holidays! If you know of something we missed, please let us know in the comments or email [email protected] and we'll keep updating this article. - Mendocino Cannabis Resource - annual all day conference and 4/20 celebration, doors open at 9 a.m., dinner and 4/20 celebration begins at 7 p.m. Tickets and more info are available at www.mendocinocannabisresource.com or at the HeadChange 215 S Main St. Willits, CA. For more information contact MCR @ 707-223-4367. Early Bird ticket special lasts until 4/13, discounted tickets available for Mendocino residents. From the organizer: The Morning Session will include presentations on Environmental Regulations, Local Regulations (for Mendocino County), and State Regulations. The Afternoon Session will cover and discuss an Overview of License Types: Sourcing to Sales, Cannabusiness Model: Nursery, Processing, Manufacturing, and Testing; as well as Direct Marketing topics such as Farmers Markets and Cannabis Events. Followed by an evening 420 Celebration with Dj Green B. We’ll share a delicious meal with music and dancing. Not to mention --time for networking, getting acquainted, and building cannabis community! - Earth Day/4:20 event at Emerald Pharms at the Solar Living Center, 12 - 11 p.m. Full day of music, including deep house, reggae, and drum and bass, circus performers, games, raffles, educational CBD series, vendors, food, crafts, sales, and more. Details can be found at the event's Facebook page. - Kure Wellness 420 Smoke-out - begins at 10a.m. at 800 Lake Mendocino Drive, Ukiah. Free BBQ for the first 150 people, music, games, and more. More info at the event's Facebook page. -The Mendocino Group presents "4/20 in Weed Country," happening at McCarty's bar, 6971 East Road in Redwood Valley from 4:20p.m. - 1a.m. Tickets are $20 and can be purchased here. From the organizers: "Mendo Dope special comedy set by Ngaio Bealum music by #mendodopeband and WINSTRONG and DJ Smokin'Joe 707." First 100 people get FREE munchies and everyone gets a FREE Mendo Dope CD!!" - Eel River Recovery Project, along with students from RV Elementary School and the Round Valley Indian Tribes will hold an Earth Day Celebration at Hidden Oaks Park, 10a.m. - 2p.m. More information on the event's Facebook page. - Leonard Moore Cooperative 4/20 Party takes place at 44970 Ukiah Street in Mendocino from 11a.m. - 6p.m. The event will include music, "token toasts," backyard games, and a " chill-out space." More details will be posted on the event's Facebook page. - Many California State Parks will be organizing an Earth Day clean-up, including one at Usal Beach in the Sinkyone Wilderness. Check-in begins at 8:30a.m. and the event takes place from 9a.m. - 12:30p.m at Usal Beach campground. More information about the Usal Beach event and about other state parks clean-up events can be found here. - 12th annual Noyo Food Forest Earth Day celebration - 12 - 5 p.m. at the Learning Garden at Fort Bragg High School. Free event, volunteers are needed and donations are welcome. No pets please. Information at 707-357-7680, at the event's Facebook page, or noyofoodforest.org. From the organizers: “Cultivating Community” is the theme of the 12th Annual Noyo Food Forest Earth Day Celebration. This delightful event kicks off at noon with an opening circle, followed by live music and activities for the whole family. Enjoy delicious organic food, pedal-powered smoothies, the popular spring plant sale, garden tours, and much more. Event is free, but donations are welcome to support the Farm-to-School and Youth Intern Programs at The Learning Garden. - Earth Day at Mariposa Market - annual celebration takes place at 500 S. Main Street in Willits from 10a.m. - 5p.m. Attendance is free. You can enjoy "environmental education, live music, eco-basket raffles, fresh organic produce, delicious bites from our deli, planting workshop, face painting & kids activities." - Sparetime Supply Garden Center 35th Anniversary and Vendor Day, 208 E. San Francisco Ave. in Willits from 9a.m. - 7p.m. Over 25 vendors will be there from 9a.m. - 4p.m., more details on the event's Facebook page. - Downtown spring clean-up with the Ukiah Main Street Program, meet at the Ukiah Valley Conference Center from 8 - 10a.m. Stay as long as you like and everyone is welcome, including gardening clubs and individuals to help weed and clean-up downtown Ukiah. Bring garden tools and the family, refreshments provided. - The Gateway Comedy Show at the Yokayo Bowling Center at 1410 N. State Street in Ukiah from 9 - 10:30p.m. Tickets run from $15 - 25 and can be purchased here. From the organizers: "Stand-up comedians take to the stage and tell their BEST jokes, then they go to an undisclosed location to get WAY too high, only to come back to the stage and ATTEMPT to tell more jokes completely baked." - Zen and the art of cannabis compliance - 11 a.m. - 3 p.m. at the Redwood Valley Grange, 8650 East Road in Redwood Valley, hosted by Mendocino Generations. Free for members, $40 for the general public. Discuss the Simplifya compliance app, surety bonds with Maureen Mulhern of Connect Insurance, and cannabis business and crop insurance with Kirk Miller of Emergent Insurance. - Middletown Garden Celebration, 10 am-2 pm: Join the Gardens Project to celebrate Earth Day with garden tours and a garden planting ceremony at the Middletown Community Garden during Calpine’s Earth Day Celebration. events for Friday 20 and Saturday 21st. Are there any events for Sunday, 22nd?